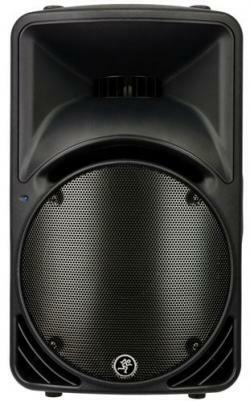 SRM450 provides 400 watts of amazing sonic clarity through two robust drivers: a 12" woofer and a 1.75" tweeter. Spoken word is crystal clear, and music has maximum punch while retaining nuance. In addition to their full-range frequency coverage, these speakers provide wide-dispersion sound coverage thanks to their specially designed, wave-guiding enclosure.The SRM450 has its own, perfectly matched, perfectly bi-amped internal power, meaning you'll always get the most volume and fidelity for your wattage. trademarks of LOUD Technologies Inc.
trademarks of their respective holders and are hereby acknowledged. for the HF amplifier and @ 500 Hz for the LF amplifier.